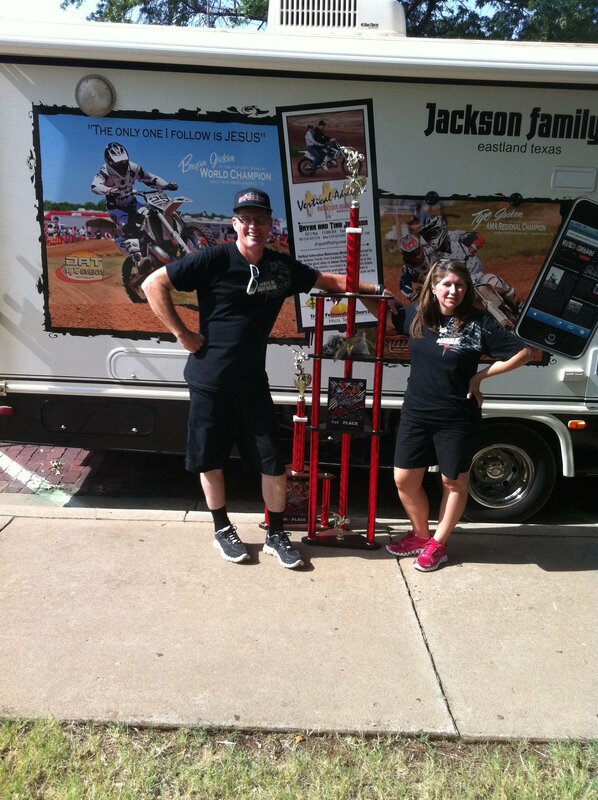 The Jackson’s have been involved with a 2-wheel passion for many years, dating back to the 1920’s as shown below. The madness was started by Terril Jackson as him and his wife, Retta, had motorcycles long before they ever even owned a car. In fact, they didn’t own a car until 1935, the year KG Jackson was born, which is Bryans father. He kept the passion alive alongside wife Bertie. To date, taking in mind again he was born in 1935, he still rides. He started his sons Bryan and Terrell on motorcycles at an early age as well, 5 years old to be exact. 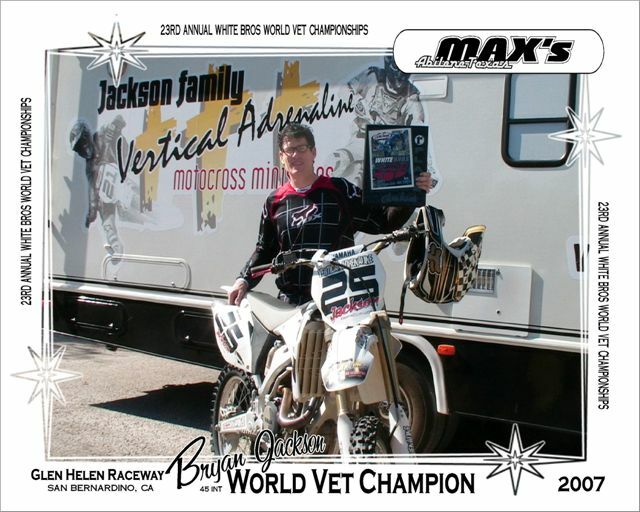 The bike craziness really stuck with Bryan as to date, taking in consideration he was born in 1962, he still competes in motocross most every weekend with his biggest supporter Tina, his wife since 1982. 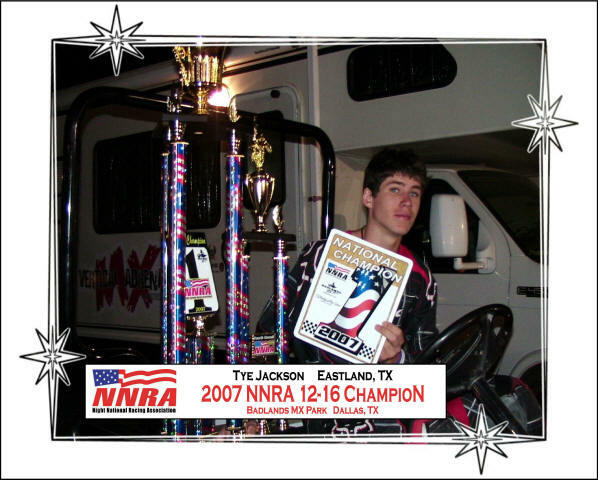 They also instilled the bug into their children Daniel and Tye and to date, both are still very involved with the motorcycle scene as Daniel promotes races and Tye continues to race as his continuing education allows. Both started riding motorcycles before they were 5 years old. 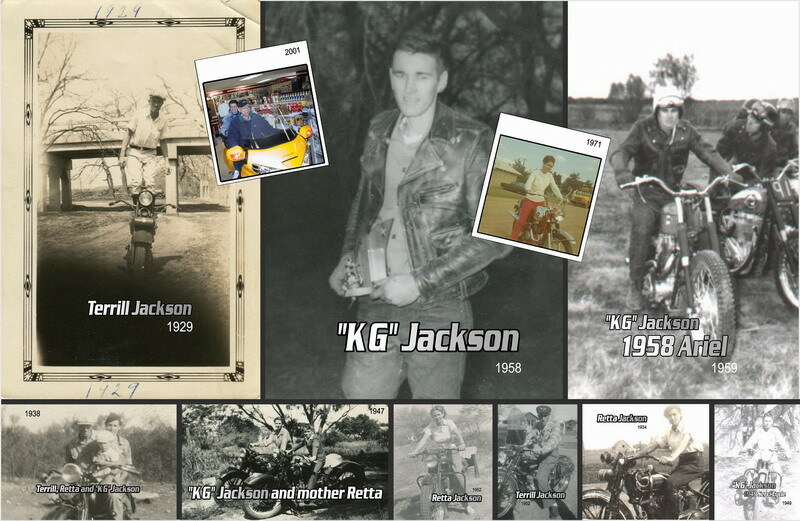 If the past history is of any true reflection, Jackson’s will continue to be avid participants and supporters of the motorcycle industry in many ways to come. From being female in the 1920’s and riding the 2-wheel steel ponies to Bryan and Tina going on their honey moon on a bike in 1982, the Jackson’s love their hobby.